How does one find balance on vacation? It’s hard to step away from work and many of the other obligations we have. The last vacation I was on where I did not check e-mails or take any work with me, was my honeymoon 15 years ago. Oddly, this doesn’t bother me. Occasionally, I wonder what it would be like to have a job that is truly 9 to 5. A job that when I was done for the day, I just logged off and did not think about it until the next work day. The career I have chosen doesn’t seem to allow for this, or maybe it is just the way I work and the expectations I have for myself. I try to balance the time I spend on work when I’m on vacation. During vacation, the scales are tipped to family time. I don’t beat myself up when I stay on top of my e-mails and continue to handle the projects that need to move forward. I don’t feel guilty when I pick and choose what work I handle when I am on vacation. It’s not that I feel no one can do my job or I am indispensable. It is simply that it is my job and I want to do my job. It is helpful that I choose when to look at e-mail, so I feel more in control of my days which is nice. On the flip side, I encourage my management team to take the time and not worry about work. We are not saving lives I say…there isn’t anything that can’t wait a week. I wonder why I don’t take my own advice. It is my choice as misguided as it may be. I am happy to be writing this article from the beach! Wishing all of you some time away from work and finding the balance that works best for you. Happy Summer! The Chapter would like to congratulate Bonnie Montgomery on her retirement! After 42 years at Hunton & Williams, Bonnie is moving on. She will be working on a part-time basis for the DC Bar as a project advisor for the construction of their new building. 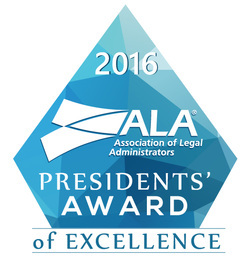 Bonnie shared with us that she would not have been as successful in her career without the ALA. She credits her membership in the organization with having given her a network she could always count on and education which provided best practices in law firm administration. The Chapter extends its condolences to Vanessa Partin, Chair of the Diversity & Inclusion Committee, on the passing of her husband Deacon Partin. 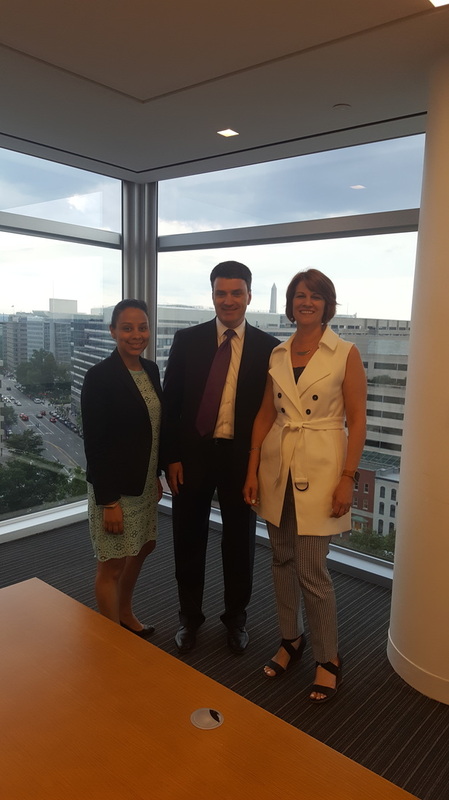 While the vast majority of law firms located in and around the District of Columbia are organized as partnerships or LLPs, there are still some law firms organized as C-corporations or personal service corporations (PSCs). PSCs face a unique challenge when it comes to compensating their shareholder-employees. As total income for the year is not easily predicted, PSCs tend to pay out more modest salaries to shareholder-employees throughout the year. Also, as clients generally want to get a deduction for their legal services by December 31, revenues in the last two months of the year can be significantly higher than in earlier months. Because of these factors, many firms pay bonuses to shareholder-employees at year-end. Many firms also pay bonuses to associates and other employees at the same time. Any income that is retained by the firm at year-end is taxed at a flat 35 percent federal tax rate. Now a recent US Tax Court case puts into question this practice of reducing a PSC’s profits in the form of shareholder-employee compensation and bonuses. In this instance, the court ruled in favor of the IRS and against Brinks Gilson & Lione PC, a PSC law firm in Chicago (Brinks), that a significant portion of their annual shareholder-employee compensation should instead be treated as nondeductible dividends. Compensation paid to shareholders for services is a deductible expense to the PSC, whereas dividend payments to shareholders are not deductible by the PSC. Therefore, payments to shareholders in the form of compensation rather than dividends are preferred by PSCs because those payments lower the overall tax bill. As there are no hard-and-fast rules for estimating “reasonable” compensation, the challenge lies in determining what constitutes a reasonable compensation for services performed and what should be classified as dividends. In examining the case, Brinks was found to have a multitude of policies and practices regarding shareholder-employee compensation that left them vulnerable to IRS challenge. Shareholder-employees were paid year-end bonuses in exact proportion to budgeted compensation and overall ownership percentages. This left little room to argue that the compensation was based on services and the performance of individual shareholders. Associates and non-attorney staff were paid bonuses during the year, but not at year-end. If bonuses for all employees were paid at the same time, it would help support the argument that bonuses were not paid strictly to manage income, but were based on individual performance. Stock ownership for shareholder-employees mirrored compensation. 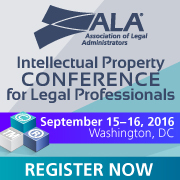 Many professional firms annually adjust ownership to coincide with compensation. We recommend that ownership and compensation arrangements remain as independent as possible with separate criteria for each. 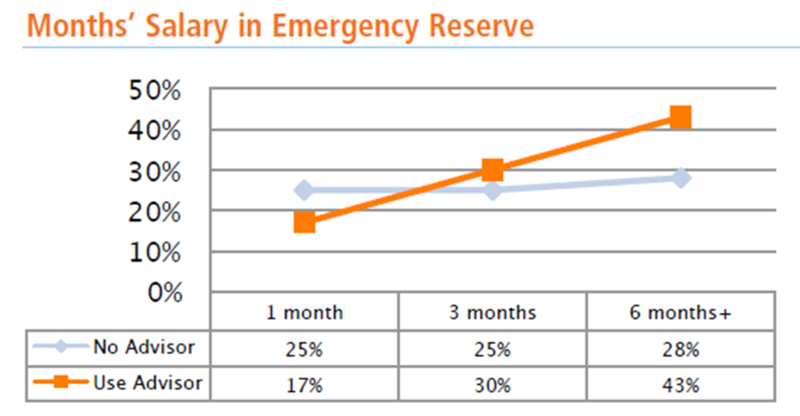 Brinks reduced their book income to exactly zero for years 2007 and 2008. Again, this was an indicator to the court that Brinks’ main objective was to manage income at year-end. Brinks conceded the underlying compensation versus dividend issue without obtaining penalty relief. Had Brinks initially not conceded to the service, it is still debatable whether they would have been successful. However, it is important to understand that negotiating for waiver of penalties should always be a part of any agreement entered into with the IRS. Be proactive in documenting shareholder compensation arrangements within the corporate minutes and within internal policy documents. Tie compensation paid to shareholder-employees to the performance and services each individual provides rather than to ownership. Apply the shareholder compensation program consistently from year to year and try to plan for steady, consistent growth rather than substantial spikes up or down. When planning for year-end bonuses, try to let some profits be retained by the PSC. Bringing net income as close to zero as possible could be a potential red flag, plus retaining some funds can help the PSC to manage short-term working capital needs. Try to time bonuses to non-shareholder attorneys and staff near year-end when possible. When shareholders invest large amounts of capital, consider establishing a dividend payment policy to shareholders. Shin Nan Goto is a manager in Baker Tilly’s professional services practice – focusing on law firms – and is located in the Tysons, VA office. He has been with the firm for more than nine years, performing financial statement audits, reviews, compilations, internal control reviews, and tax services. Shin Nan also has extensive experience performing employee benefit plan audits for a wide range of retirement plan types. If you are interested in learning more or have questions, please visit bakertilly.com/professionalservices. Congratulations to our Business Partners, who were ranked by the Washington Post Magazine as some of the top places to work in 2016! July 1: Laila Al-Qadr , “The Night of Power”, which commemorates the night that God first revealed the the Qur’an to the Prophet Muhammad. Usually fixed as the 27th day of the Islamic month of Ramadan, Sunnis may also observe it on the 21st, 23rd, 25th or 29th. Shi’ites observe it on the 19th, 21st or 23rd day of Ramadan. July 4: Independence Day. Click here to learn more. July 5: Eid al Fitr, the Muslim celebration commemorating the ending of Ramadan. It is a festival of thanksgiving to Allah for enjoying the month of Ramadan. It involves wearing one’s finest clothing, saying prayers, and nurturing understanding of other religions. July 19: Dharma Day or Asala Puja celebrates the first discourse of the historical Buddha’s first discourse following his spiritual awakening. Capital Chapter members gathered at the DC Bar Celebration of Leadership Dinner on June 15th to welcome newly elected officers and members of the Board of Governors, meet members of the Board of Governors, past presidents of the Bar, members of the judiciary, and other leaders in the Bar community, and celebrate extraordinary Bar members and projects. You’ve probably heard the phrase hope is not a strategy. The definition of hope is “to want something to happen or to think that it could happen” (Merriam-Webster). When it comes to saving for a financially secure retirement, many statistics would suggest that we rely more on hope than we do on strategy. We hope Social Security will be around. We hope we won’t lose our jobs. We hope we’ll be able to pay off our debts. We hope we’ll stay healthy forever. We often get consumed by the things we need to pay for today - instead of focusing on ways we can save for our longer term future. While we may hope that things will take care of themselves when it comes to money matters, the reality is that there is simply no substitute for long-term planning. Sadly, only 31% of financial decision makers in families say they have created a comprehensive financial plan.1 This statistic suggests that more than two in three Americans will be left with nothing but hope to provide for a safe and secure retirement. If you’re one of them, know that when it comes to creating your retirement plan, hiring a financial advisor may be the first step you need to take in order to turn hope into strategy. 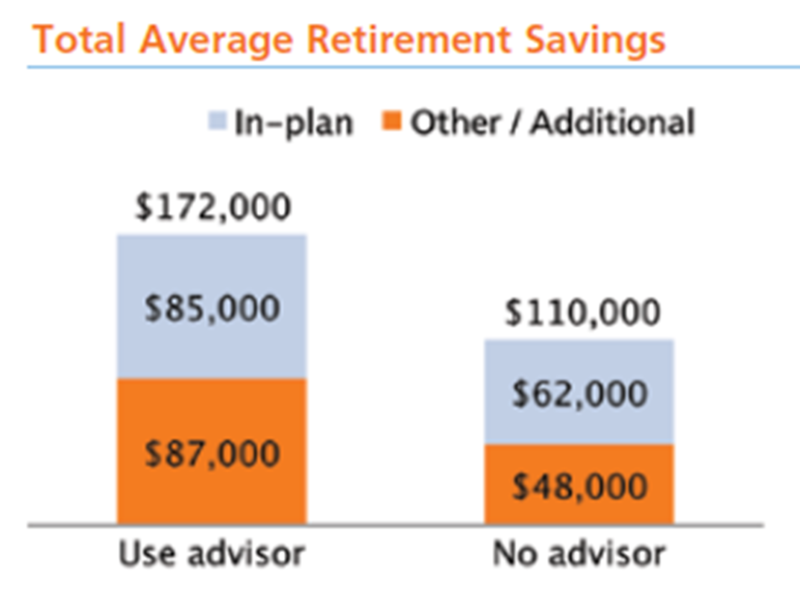 A Voya study shows that working with an advisor significantly increases the likelihood that an individual will have more saved for retirement within and outside of employer sponsored retirement plans. 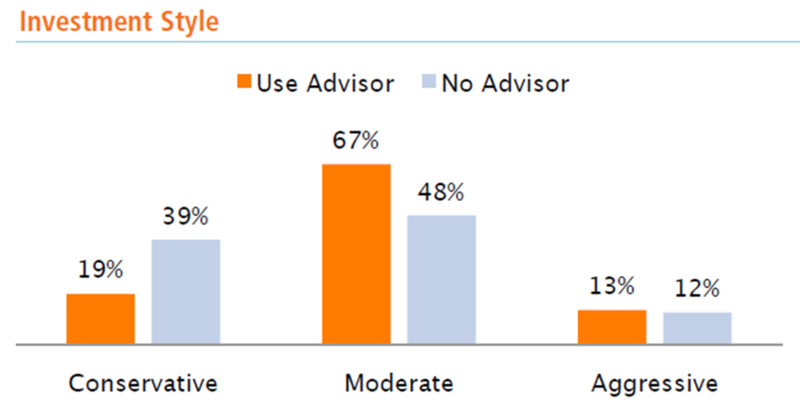 Those who use an advisor have, on average, saved 36% more money for retirement than those who do not work with an advisor. Retirement planning is not all about putting a certain percentage of your paycheck into your Company’s 401(k), while making sure you put in the amount your Company will match. That is a start - a good and necessary start - but it just isn’t enough. There are many other financial uncertainties that come up along the way, and you need to be prepared for the unexpected. According to a 2012 Retirement Confidence Survey by the Employee Benefit Research Institute, “half of current retirees surveyed say they left the workforce unexpectedly due to health problems, disability, or changes at their employer, such as downsizing or closure.”2 Also, older consumers are carrying more debt, including mortgage, credit card, and even student loan debt, into their retirement years than in previous decades.3 With a sound financial plan in place, unexpected issues beyond your control don’t have to cause sleepless nights. The jobless rate has been above historical norms in the U.S. since the 2008 financial meltdown. Some people in their 40s and 50s have been forced to take jobs beneath their historical pay rate in order to make ends meet. Some older workers may find themselves forced into an early retirement. A Boston Globe article from 2013 talks of the struggles older workers endure looking for work after a lay-off or job loss. From 2007 to 2013, the number of people 45 and older who had been jobless for more than a year quadrupled. According to Andrew Sum, director of Northeastern University’s Center for Labor Market Studies, “the longer you’re unemployed, the more likely you are to leave the labor force, and the more likely it’s an early retirement for you.”4 Employment uncertainties make working with a financial advisor an essential step in preparing for the financial unknowns of the future. Estimating the future cost of healthcare is a common oversight when planning for retirement. A Society of Actuaries survey in 2012 showed that only about half of all people who retire do so by choice. Thirty-one percent retire due to health issues, either their own or that of a loved one.5 It is important that you properly estimate the potential financial need for increased health care as you age – a task you may find much easier completed with the help of a knowledgeable advisor. Many people are buying homes later in life, or taking out home equity loans in order to maintain quality of life. A Census Bureau survey shows that fewer older homeowners own their home outright compared to a decade ago, and the mortgages they hold have less home equity than a decade ago.6 Consumer debt is still high as well. The Employee Benefit Research Institute has stated that one in two families headed by a person 55-64 had a credit card debt in 2007, compared with about one in three in 1992.7 Debt, especially as you near and enter retirement, can eat away at your savings or worse hinder your ability to save altogether. The balancing act of meeting your borrowing needs while growing your nest egg is one best performed with the help of a financial advisor who can help set a sensible budget and align financial priorities for you. Few people would dispute that seeking advice from a medical professional could pave the way to good long-term health. Seeking advice from a financial professional – much like seeking advice from your doctor – can put you on a path to better financial health. Life expectancy tables tell us the good news is that we are living longer. The bad news is that most of us haven’t saved nearly enough to fund a longer retirement. It is estimated that more than half (52%) of Americans have less than $10,000 saved for retirement while life expectancy is 78.5 years – more than 10 years into retirement.8 Professional financial advice could provide the planning necessary to help safeguard against outliving your savings. People who work with financial advisors tend to save up to three times more for retirement, have more discretionary income, and generally have more confidence in their financial well-being. The bottom line is - picking up your financial prescription may lead to better retirement outcomes. A study by Voya shows that use of an advisor can increase feelings of control and confidence in understanding how to pursue one’s retirement goals. It seems logical after all. 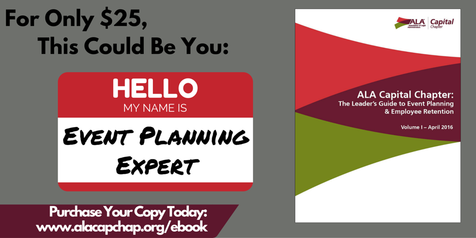 Imagine you’ve spent time with an expert, discussing your goals, listening to him or her explain options in an easy-to-understand way. That advice has made you more knowledgeable and given you greater confidence about achieving your goals. It eliminates the guesswork and speculation, leaving you less worried than if you had to do it all on your own. People who don’t use an advisor are more likely to be risk-averse, which increases the risk that they will fail to capture market growth in their early savings years. The Voya study found that 39% of people who choose to invest without the guidance of an advisor characterize themselves as “conservative” investors, vs. only 19% of advisor-assisted individuals.9 This means you are more likely to stay with investments you deem as safe, while missing out on potential market growth that could help you achieve your financial goals. Personal experience is a powerful navigational system for future actions, whether or not that experience is logical. This preference for the familiar, referred to a familiarity bias, leads us to the faulty assumption that just because we’re familiar with something, it must be safe.10 When we allocate investments based on this familiarity bias, it can lead to poor diversification – an integral element of a balanced financial plan. A financial advisor can bring experience, knowledge, and a better understanding of investing, that can help you to a better diversified portfolio that fits your unique situation. Your vision for retirement is just that – yours. A financial advisor can help make that vision a reality. We all go through life relying on the advice of experts. That’s the beauty of living in a society where specialization can lead to improved standards of living. 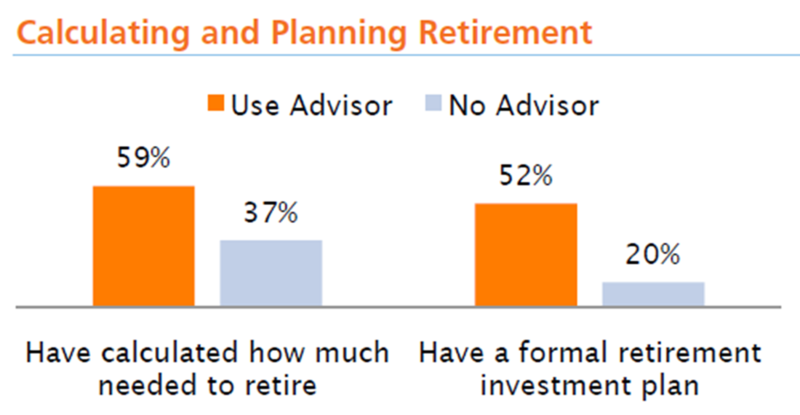 So why won’t more Americans work with a financial advisor to help improve their retirement picture? Today, advice and guidance are available in many shapes and forms, often in conjunction with a workplace retirement plan. These services can range from professionally managed accounts via Target Date Funds to holistic Managed Account guidance, and full-service on-line, phone-based, or in-person financial planning. There is likely a “flavor” of advice for nearly everyone. The challenge is getting more people to the table to have a taste. Financial planning is a complex field where decisions are fraught with behavioral pitfalls. An advisor can use proven methods and expertise to develop a personalized retirement plan based on your needs, wants and wishes. When it comes to long-term planning, hope is not a strategy – but a sound financial plan developed with the help of an advisor should certainly give us hope for a secure and comfortable retirement. 3. Federal Reserve Board, (2010) 2010 Survey of consumer Finances. 4. The Boston Globe, (March 25, 2013). Long-term Joblessness Hits Older Workers Hard, by Megan Woolhouse. & Associates, Inc. and EBRI. 6. Census Bureau, (2011). Complete Set of Tables: Table C-14A-OO Mortgage Characteristics – Owner Occupied Units. benefits of working with a financial advisor. 10. The New York Times, (November 22, 2010). “Avoid the Investing Trap of Familiarity,” by Carl Richards, CFP. The ABA Retirement Funds, an affiliate of the ABA, is dedicated to helping lawyers with their retirement by providing fully bundled retirement solutions for law firms of all sizes. Established in 1963, the organization has nearly 3,800 law firm retirement plans, 38,000 participants, and more than $5.5 billion in assets in the ABA Retirement Funds Program (www.abaretirement.com). The information in this article is believed to be reliable. However, this newsletter is distributed with the understanding that the Program is not engaged herein in rendering legal, tax, accounting, investment management or other professional advice. 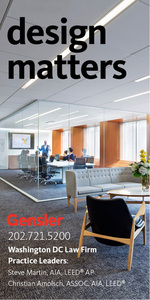 In law, your office space is a showcase of your firm’s influence and creativity. Your space, from the lobby to the conference room, needs to communicate your expertise and drive to think outside of the box. This ingenuity poses a special (and exciting) challenge for a general contractor. 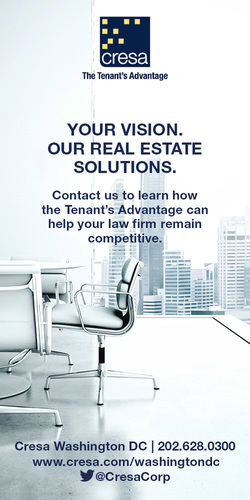 Law firms demand unique features with the highest quality finishes that test the expertise of even the most seasoned construction pro. You have creative ideas that push the limits of design, and it’s our job as the general contractor to deliver that vision. Given the heightened design complexity and tight work schedules on law firm projects, smart communication is crucial. “Smart” communication is frequent, consistent, and different: at rand*, we stay in constant contact with our clients to ensure that everyone is on the same page, providing design options, photos from work sites and consistent updates on a weekly, sometimes daily, basis. This is especially important when working with law firms because, given the complex nature of the designs, there is little room for error in the construction schedule. rand* Construction Corporation has worked with top law firms in the DC Metro Area to create spaces with dramatic impact: soaring glass atriums, vast marble-decked lobbies, intricately-designed stone flooring. All of these are custom finishes, which require extra time, money and coordination with multiple subcontractors. It is absolutely critical that we establish expectations and our work schedule early to ensure every element is constructed in the right order and on time. When we work with a client who has an ambitious vision, it is crucial to nail down design specifics early (pun intended). For example, when rand* constructed office space for a law firm in downtown DC, they wanted to build a one-flight staircase from a single sheet of metal. This was a new challenge for us; we had to figure out if, one, it was possible, and two, if we could find a subcontractor who knew how to accomplish it. The project required extensive coordination between multiple subcontractors – millwork, glass, metals, etc. – and consistent communication was integral in delivering each sequence of the schedule correctly. On every project, the rand* team meets weekly with the client to update them on the progress of the construction and upcoming milestones. In addition, we will send the client a weekly executive summary email every Friday afternoon with a progress report. During preconstruction, rand* gets in on the ground floor and becomes intimately acquainted with every aspect of the design demands. Then we have the knowledge and confidence to communicate the vision of the project with our subcontractors on a daily basis. In turn, we listen to our subcontractors and learn from their expertise. rand*’s highly disciplined communication ethic allows us to build the best spaces in town. In Spring 2016, rand* completed Miller & Chevalier’s new DC office, a 33-week project with 86,000 square feet and six floors of glorious, marble-covered space. Almost every surface was covered in specialty materials that had to be custom ordered and sized; nearly nothing was “off-the-shelf.” In order to accommodate all of the different, highly technical installations, the construction sequence was broken down into dozens of mini-schedules that required precise coordination with multiple subcontractors. It was a challenge that made us grow, and through diligent communication we created a space with Miller & Chevalier that is truly spectacular. July is the hottest month of the year! Keep blinds in your offices closed during peak sun hours and especially on weekends. If you have a green lease this cost savings through better energy utilization will go directly to the firm’s bottom line. Over the years, the term ‘Profitability Analysis’ has meant different things to different people. For example, some refer to ‘Billing Realization or Collection Realization’ as the ‘metric’ for measuring Profitability in the Law Firm environment. We believe that a different and better measurement can be derived from the traditional ‘cost accounting‘ methodology that evolved in the accounting function in the manufacturing world. In that approach, the cost accountant would produce standard ‘cost models’ allocating direct labor and overhead absorbed to determine the standard cost of a product’s production. From that analysis, companies would price their products appropriately so that a proper gross margin was realized to meet the company’s overall financial goals. In the service business, the production of ‘products’ is not so clearly defined, so the approach must be different. In a Law Firm, the Profitability accounting analysis is a costing methodology which determines the cost of a revenue stream. The analysis computes the series of direct and indirect rates per hour of the service provider and allocates those costs to the service provider’s (timekeeper) revenue to measure gross and net contribution to Firm profits. Each method has its pros and cons. #1 and #2 may never turn into cash (due to write offs or non-payment) and the client might look profitable under those methods – when the client never paid their bills!! The management committee will quickly lose faith in the profitability analysis as a useful too if this occurs. We prefer #3, as the cash has been received – and the profitability measurement is – ‘what did it cost us to create that revenue stream’? Second, you must identify what profit you are measuring. creating a ‘loss’ for everything they work on. 3. The amount distributed over the base monthly draws. When a Non-equity Partner, Associate or Paralegal’s direct cost is calculated, their W-2 compensation is the value used for their salary. But for Equity Partners, whose compensation is more than just their ‘attorney’ salary because it includes their share of the Firm’s profits, there is no industry standard for identifying their ‘attorney’ cost for delivering legal services. Many Firms end up assigning the Equity Partners a (culturally acceptable) ‘salary’ for their direct cost for being an attorney and then use the difference of their total compensation as the profit to be measured. Third, the direct expenses must be identified for each timekeeper. These typically include salary (see above for equity Partners), bonus, taxes, medical, benefits, parking, etc. – those costs that come and go with the timekeeper. Included in this calculation should be their proportional share of their secretary or administrative assistant (also with their respective direct costs calculated in the same manner). Fourth, we must calculate the indirect costs. Simply take the total revenue, subtract the net profit to be measured, subtract the allocated direct costs and the rest must then be the indirect amount. Each timekeeper would then be allocated their indirect cost amount. The direct and indirect costs are then allocated on an hourly basis by dividing each individual’s direct and indirect total costs by their collected hours. The end result is the direct rate per timekeeper per hour and the indirect rate per timekeeper per hour. Note – all of the steps identified above and the assumption made for each must gain acceptance by the user (for example, the Management of Finance committee) of the analysis, so that the Profitability process and reporting gains acceptance by the user as both fair and objective. This information will then allow you to analyze the Firm’s profitability from a number of perspectives. Performing the Profitability analysis will be an education process for the Firm. With the information above, the Firm can better improve its profits due to a better understanding of its Revenue Streams, Cost Structures, Pricing Points, Relevant Volumes, and Profitability Logistics. Every Firm needs to have a solid understanding of its Profitability components – the Products (Areas of Law), the Clients (those who buy the products), and the Attorneys (those who sell the products, manage the products, and create the products)! Jay Erdman, CPA, a Principal in Rippe & Kingston, LLC, consults with a large number of Law Firms across the country on a range of topics including Partner development and Financial Management issues. He has spoken at local, regional, and national ALA events. Jay earned his degree in Accounting and Management from the University of Cincinnati and now has over thirty-five years of accounting experience and Law Firm specialization. Rippe & Kingston was a pioneer in developing the Profitability Accounting Methodology for Law Firms, which began in 1989. 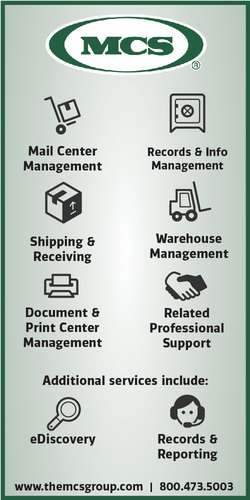 Over the years, R&K has been involved in over 130 Profitability studies. At our June meeting we were joined by Mark Lewandowski of The College Funding Coach to discuss strategies for saving for a college education and saving for retirement. As we all know the cost of higher education continues to increase. This is an area where families are greatly financially impacted and it is further complicated by simultaneously saving for retirement. Mark reviewed the two options for 529 plans. One option is a savings plan in which contributed money is invested and thus subject to market gains or loses. It is very similar to a 401k plan. The second option is a pre-paid plan which is not subject to the market and allows you to set aside money to pay for an in state public university. 529 plans are easy to open and can be done by a relative or even a friend, not just the parents. The presentation also touched on the process for the Free Application for Federal Student Aid (FAFSA) and the expected family contribution (EFC) figure. The FAFSA must be completed every year the student is enrolled in order to have a picture of the family’s finances. It’s important to note that the FAFSA does not take into account expenses a family may have such as caring for other family members or debts owed. It’s therefore very important to know your EFC in order to properly plan for paying for tuition, room and board, and books. For members that are interested in having a presentation on this topic at their organization you can reach out to Mark at mlewandowski@thecollegefundingcoach.org. Standing firm on the hallowed grounds of "rightness" is a dead-wrong approach for connecting with others. It smacks of arrogance and alienates. The need to "be right" gets in the way of winning the acceptance, appreciation, and respect of others-qualities critical to caring connections, customer satisfaction, and harmony everywhere. Whenever you need to be right, you make others wrong in the process with a polarizing effect, and that pushes people away. If you find yourself playing the "Right and Wrong Game," get out immediately! Remind yourself what you could lose by winning. Naturally, you want your beliefs to be validated by others, but not at the price of alienating them. It boils down to this: "being right" jeopardizes your connections. Would the loss of your colleague or comrade truly be worth a momentary victory in a ridiculous battle of egos? Giving up the need to be right doesn't mean giving up your preferences and perspectives. Rather, it means letting go of demanding that others must or should see things your way. It's respectfully disagreeing, but not demanding that others conform to your beliefs. You strengthen your relationships with a willingness to accept and respect differences. A steadfast insistence on "being right" can throw you steadily off course with people and the direction you want to head. "Being right" can be expensive, costing you clients, customers, credibility, and connections; it's definitely the wrong approach if you want to keep valued relationships. Instead of "being right," do what is right for the integrity of the relationship and demonstrating your intention for creating good connections.